Retirement News > Family and Relationships > Articles > Giving Money to Family? Are You Handing Out More or Less than Average? Giving Money to Family? Are You Handing Out More or Less than Average? As if saving enough to pay for your own retirement isn’t worrisome enough, research from Merrill Lynch and Age Wave suggests that most people over 50 (6 out of 10 in fact) are providing financial support to family members in need — either on a one off basis or as continuing regular support. Giving money to family can be rewarding, but at what cost? Most people — around 90% — are not including support for family members in their retirement budget. This is a pretty massive mistake. Forecasting what you are going to spend in retirement is one of the most important steps you can take for having a secure future. What you spend determines how long your savings will last and how much you can safely withdraw each month. However, budgeting does not need to be onerous. The NewRetirement retirement planner is an easy to use online system that — after an initial set up — lets you set different spending levels for different phases of retirement and plan for big one time expenses. A LOT! For people with less than $5 million in investment assets, the average amount given to family members each year is a whopping $14,900. $9,200 is given by those with less than $250,000. $34,100 by those with $500,000-$5 million. Half of the over 50 pre retirees say that they would make major sacrifices to help family members. 4. How Do People Feel About Helping Family Members? Eighty percent of those helping family members say that they do it because it is the right thing to do and 50% feel that it is a family obligation. The study also found that among people 50 years and over, only half have a will and a mere 40% have a healthcare directive. These are documents that should be created by almost everyone. Here is a guide to the most critical estate planning documents. Among those over 50, nearly 2 out of every 5 are now part of a blended family which may include stepchildren, stepparents and step siblings. This can be especially complicated and a source of friction in a relationship since people generally feel less responsibility toward a step relative than they do to their biological family. 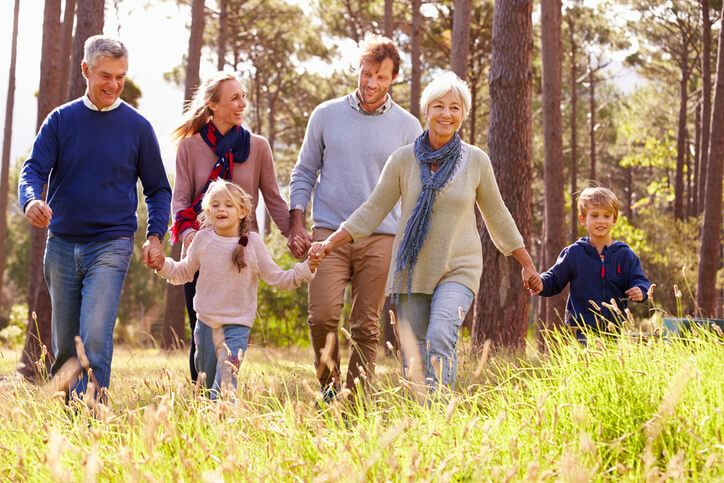 Create a Detailed Retirement Plan: Before you give money to family members (or as soon as possible), it is important for you to document a comprehensive plan for your finances in retirement. The NewRetirement Retirement Planning Calculator makes it easy to get started with fast but highly personalized answers about your financial health. This tool was recently named a best retirement calculator by the American Association of Individual Investor’s (AAII). Communicate Clearly: If you are giving money to family and it is a financial burden to you, you might want to sit down and discuss this with your family members. Not saving (or spending your retirement savings) will have a profound impact on both you and your family. Will family take care of you in the future the way you are taking care of them now? Do you want them to have that responsibility as you age? Do you want to give up your own autonomy and be beholden to them? The research shows that those who have discussed financial topics with their spouse and adult children are more than twice as likely to feel prepared for retirement than those who do not. If you are in the financial situation where you want to simply give money to your grandchildren to use however they please, simply gifting money is a viable option. However, you should keep the federal lending limit in mind while doing so. If you gift over $14,000 a year you will start to encounter gift taxes. A 529 plan, or a qualified tuition plan, allows you to help save money for your grandchildren’s education. Note that funds in a 529 plan may only be used for qualified education fees. A detailed description of what you want to happen when you die. The opportunity to manipulate your assets for tax efficiency and maximum wealth. Instructions for what you would like to happen if you are living but can not make decisions for yourself. Explore estate planning 101 — the four documents everyone needs. How do you feel about giving money to family? Share your thoughts in the new comments section below.